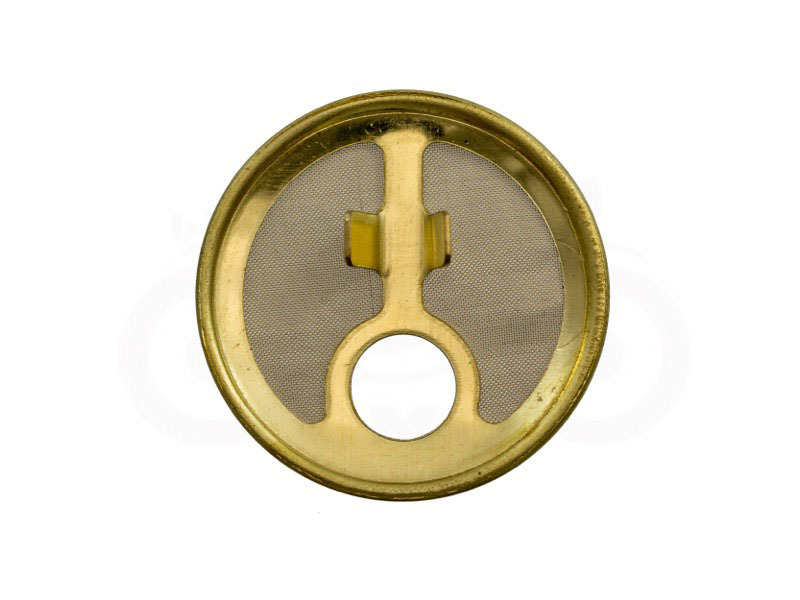 Why You Need This: Most folks do not realize that the fuel valve has a built in filter screen. It works great, but often they are missing, corroded or punctured. This is a genuine Honda Fuel Filter Screen that fits the original factory Keihin fuel valve found on the CB350, CB360 and CB450 family of bikes. It will not fit aftermarket replacement valves. If you are going for originality, it is a good part to replace in conjunction with our Petcock Rebuild kit. However if your petcock it too gummed up or corroded to rebuild, donÃ­t fret we've got new Petcocks too. Installation Tip: These screens flow well, thus there is no need for inline fuel filters as they may restrict fuel flow. The little tangs on the filter face down when installing.